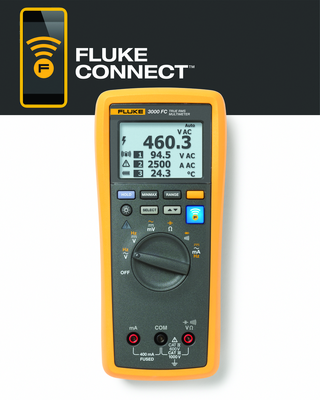 This is a way for Fluke digital multimeter (DMM) customers to share their stories for the possibility of winning one of ten state-of-the-art Fluke tool bundles and the glory of becoming a legend. There are two ways for people to enter: share the story in writing (300 words maximum) or create a three minutes or less video. Each entry should describe how a Fluke DMM improved productivity, solved a problem, or improved efficiency. Written and video descriptions must be submitted via the entry form on the Fluke Legends website. A panel of qualified Fluke employees will review each submission and choose winners based on the explanation of the business benefit provided and demonstration of the creative use of the product. Winners will win the latest in Fluke tools: either a Fluke Connect General Maintenance Kit or a Fluke Connect Industrial Maintenance Kit. Entries must be submitted between 1st September and 31st December, 2015.